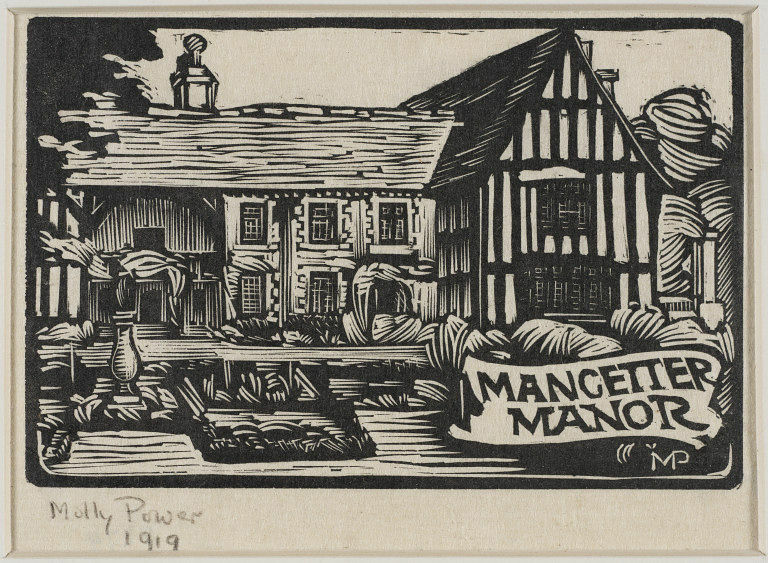 Woodcut of a timber framed manor house. Signed M P (monogr.). 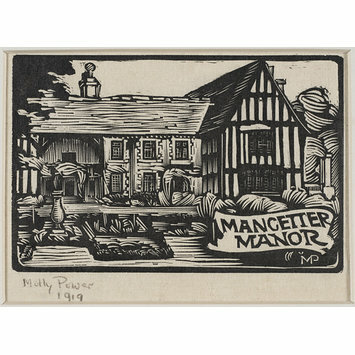 In pencil Molly Power 1919. Woodcut by Molly Power: "Mancetter Manor."